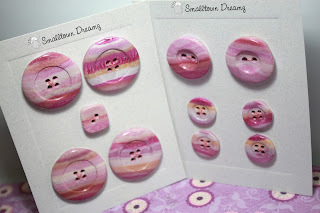 Smalltown Dreamz: A new blend of buttons. A new blend of buttons. 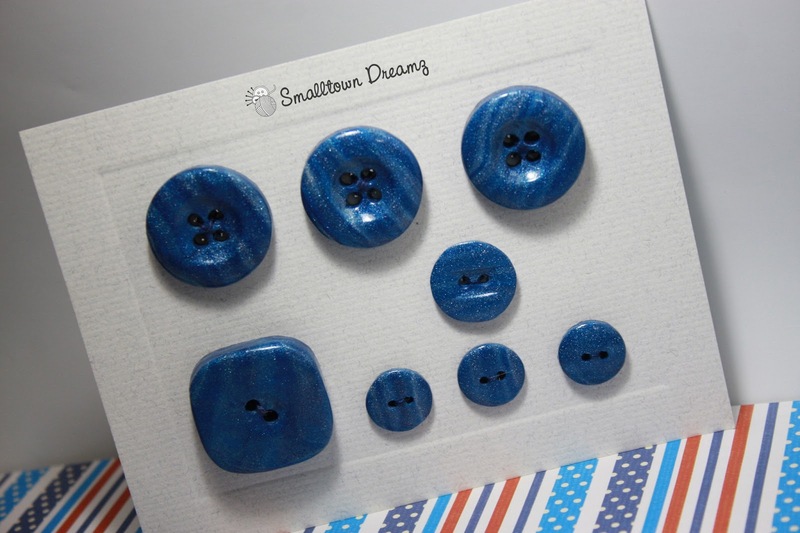 Have you seen the latest collection of buttons that has recently been released in our shop. If not have a peek!!! I like to call these the striped blended collections. The striped blended collection can be found in many different varieties. There is a soft striped blend much like the blue set just to the left here. Where you have just a hint of the striping. The 2nd type of striping is the more noticeable striping. It has very defined blend lines between the different colors. The striped blends can be found in 2 or more colors. As you can see in the picture to the right with the pink striping you can see some gold striping throughout to give it a nice contrast. 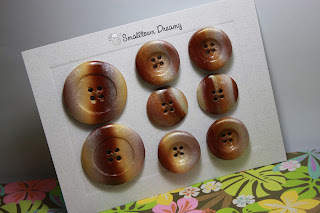 These style of buttons are great accent pieces on any project you are working on. If you have a special project and would like to custom order your own set of striped blended buttons please feel free to message me either through ETSY, Facebook, or E-mail. If you would like to see more buttons hop on over to my ETSY Shop to see what is in stock. I'm stopping by some of the MMMakers' blogs to share some love and nominate a few for the Versatile Blogger award. I hope you don't mind! Here's a post I wrote about the award.